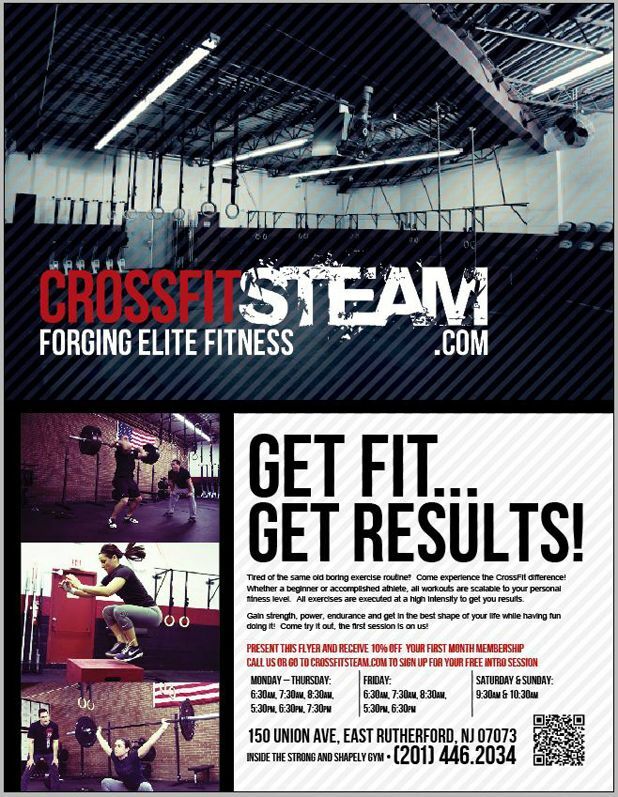 Let's learn how to increase gym membership sales for your CrossFit Affiliate! As a gym owner, you’re passionate about fitness. You know what you and your coaches have to offer, and how large an impact it can have on the lives of the athletes you train. You’ve put effort and money into building your CrossFit box from the ground up, investing in quality equipment, gym management software, and the perfect coaches. Gyms only survive if they have a strong membership base. And a community of members can only be strong if there are enough members to sustain it. So how can you attract more new members to your CrossFit box? This post contains 10 can’t-miss, actionable tips that will help you increase gym membership sales and build a powerful like-minded community of CrossFit athletes! Let’s learn how to increase gym memberships for your CrossFit box! Here they are! 10 tips that will have you onboarding new members in no time. Each of these tips can be used to quickly boost the number of memberships at your CrossFit box. Feel free to mix and match, or use them all and enjoy the influx of new member signups! People love raving about the things in their lives that they enjoy. It’s likely that many of your members tell their friends quite often that they “should check out” their CrossFit box. But that word of mouth tends to not lead to as many new leads as you would think. Because your members may not be on board enough to be evangelists for your gym. Create more incentives for both the referrer and the potential new member. For new leads, why not offer one free month of membership, an extended trial, discounted access to a beginners’ foundations program? For the referrer, a discounted membership, free gear, or free private training sessions could be in order. If members aren’t referring at all, it makes sense to get a feel for their level of engagement in the box’s community and their appreciation for the gym as a whole. In a later tip, we’ll discuss Net Promoter Scores, which can help you gauge these factors. 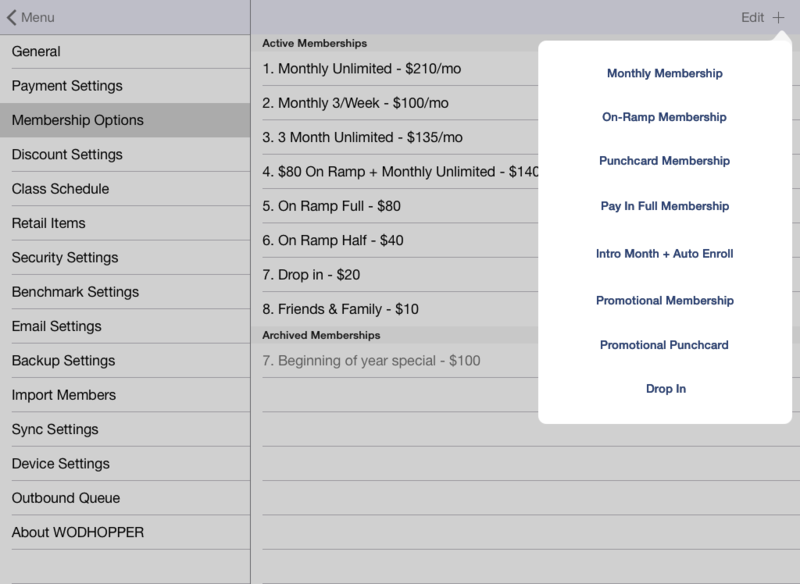 If you haven’t systematized your referral program, you’re missing out. For members who are bought into what your box has to offer, actively participating in the community, wanting to support the gym by bringing in like-minded new members should be a no-brainer. Try having a guest day, or a guest day competition, where members who bring in potential new members are rewarded with discounted membership fees, and the member with the most guests receives a larger prize. You could also choose to reward referrals over the course of a longer period of time, with an ongoing competition for who has referred the highest quantity of new members. Obviously, there are other barriers to successful referrals that are outside of your control. Sometimes, the cost of joining a gym is just not something an individual is willing to take on, and they may not be interested in joining a rigorous fitness program. The strategies above are designed for individuals who fit into the criteria of being an ideal member for your box. Your gym’s community rocks, and we’re sure your members would agree. However, too many CrossFit gyms limit their community reach to inside the walls of the box. For serious athletes who value functional fitness, great coaching, and a community of like-minded athletes, the CrossFit box acts as a safe haven. It’s a wonderful refuge for before or after a long workday where people go to improve themselves. Why would you want to leave? Interacting with your CrossFit community in a variety of different settings creates deeper, more well-rounded relationships. ‍+100 bonus points if you can get a cute dog in the picture! Joining a softball or kickball league: When other teams see how much fun you’re having they may just want to join your gym! Bowling: An age-old classic that’s sure to feel fun and welcoming for all. A brewery tour: It’s not counterproductive for your health and fitness when you’re learning… right? When you host regular social outings with the members of your gym, you can encourage that they bring guests. This is a natural way for an outsider to fall in love with the cohesive and fun community that you’ve built. There’s no better way to get people interested in joining. In addition, when your group is out and about, you’re sure to meet people along the way, which will help you spread the word! Great social media content is one of the best ways to both keep your community engaged and attract a larger audience. Simply put, if your CrossFit box appears to be a welcoming place that values its athletes and coaches while supporting a strong community, people will be interested. By telling the story and sharing the passions of a particular coach at your box, you can humanize and add depth to a figure that may seem intimidating to those looking from the outside in. You know your coaches are passionate about helping people improve their lives through functional fitness. Now it’s time to show it! Recognition is important, and your athletes will be proud of themselves when you acknowledge them publicly for their growth. It will also send a message to social media followers that your gym deeply cares about its membership base. Similar to what we discussed in tip #2, people are attracted to fun, close-knit communities. Showing examples of fun, off-site outings shared by the members of your gym will work wonders in making your gym seem like the place to be. When it comes to CrossFit, one of the most significant barriers to entry is that newcomers may feel intimidated by the intensity, competitive nature and group dynamics of the workouts. The best way to alleviate these fears is by publicly acknowledging newer members who have completed their first steps as new CrossFit athletes. Did your gym purchase new equipment or bring in new members or a new coach? Are you hosting an event that could bring new faces in? Share! It will show that your CrossFit box is constantly growing and improving. Photos of your facility will go a long way in convincing prospective members to walk in and inquire about membership. If they see top notch equipment and a great facility, they will be more likely to take the plunge. CrossFit affliliate lead generation can work extremely well on Facebook. In addition to hosting useful content that promotes engagement and builds credibility, your social media channels can also be used as vehicles for driving targeted audience to your offers and to your content. Facebook ads are an excellent strategy for reaching a specific audience that you think would be interested in learning more about your box. You can also target users based on their specific interests! Once you’ve picked your goals, audience and location, it’s important to make sure the ad you’re promoting is likely to achieve your goal. Offers and event invitations tend to work best, because there’s a direct, trackable ROI that can be quantified while running the ad. Our friends at CrossFit Barrington know what they’re doing. Contrary to popular belief, print is not dead! In fact, it’s one of the most hands-on and direct ways to get new people to check out your CrossFit box. CrossFit is about community, and what screams community more than your gym becoming a neighborhood hub? By leafleting homes and apartment buildings in your neighborhood, you’re getting on the radar of new people who may have never otherwise heard of your gym. New apartment buildings are popping up all the time in cities and suburbs. Take advantage by welcoming new neighbors with a special offer! You never know who’s looking for a new gym when they move to a new neighborhood! Any good leaflet or brochure will include photos, a value proposition, a location and a specific offer. Content doesn’t only have to live on social media. In fact, your website is one of the best possible places to house useful content that can attract traffic from new potential members. Hint, hint: We do this too. Your website serves as your virtual gym location, so content is the perfect vehicle to drive quality traffic to it and add value to those users who land on your site. Driving traffic to your site in the form of people who are interested in CrossFit, and giving yourself an opportunity to land them as members through your website. Solidifying your position as an expert, or even a leader in the industry, making your CrossFit box more credible and increasing its visibility. Here’s a great step-by-step guide on how to write great content for SEO. Yes, CrossFit is supposed to be challenging, pushing athletes to the limits of what they can physically achieve with varied functional lifts and movements. But that doesn’t mean it needs to be intimidating and inaccessible to beginners! In fact, many experienced CrossFitters started off as curious individuals who wanted to explore a more fit and healthy lifestyle. The way you greet potential new members will work wonders in bringing them on board. Whether it’s on the homepage of you website or advertised prominently through your social media presence, prospective members should instantly know that they are welcome, regardless of their physical abilities. Have you ever received an email survey from a company you’re a member or customer of asking you to rate, on a scale of 1 to 10, how likely you would be to refer them to a friend? Of course you have! It’s one of the most common types of surveys out there, and it’s used to produce Net Promoter Scores (NPS). Sure, on the one hand, they’re an opportunity for a business you frequent to understand where they stand in their eyes. If your rating is low, they know they need to contact you and ask more questions. A good business will do what they can to rectify the issue, improve their level of service, and retain you as a client. Even more importantly, however, these surveys help businesses understand who is most likely to promote their business to friends and family. Once you know who your 9’s and 10’s are, you can gear special promotional efforts in their direction, further incentivizing them to refer. Essentially, you know who your brand evangelists are, now all you need to do is get them to do what they say they would do! Much easier than targeting the entire gym as a whole. Of course, you will want to address lower and mid-tier survey responses as well, doing everything you can to ensure those lower ratings become 10’s in the future. Ask anyone in sales and they will tell you that excitement over new leads—and the motivation to contact them if they don’t become sales right away—dwindles quickly. If someone signs up for a free trial and never shows up to their first class, it can be a bummer. Even worse, if that person still no-shows after a couple calls and a few emails, you may feel like it’s a waste of time to stay in contact. In fact, on average, it takes much more points of contact than you would think to make a sale. In addition, it’s important to remember that exercise and fitness plays a different role in the lives of different people. Some people may be motivated into action by a seasonal change, a lighter workload, or a life event. It’s important to be there when those opportunities arise! In our next tip, we’re going to show you how to easily maintain proactive contact with all of your leads. As hard as you may be trying to attract and onboard new members, many of your efforts will be wasted if you’re not well equipped to easily and successfully bring clients on board. WODHOPPER’s lead generation feature is designed to ensure the process of signing up new members and contacting existing leads is as easy as possible. First off, it’s imperative that you implement a specific process for maintaining contact with prospective members and getting them to attend their first class. WODHOPPER’s lead generation feature plugs into any CrossFit gym’s website, and takes care of virtually all of this work for a gym owner. Prospective members can easily select their first class. It’s all online and couldn’t be more simple to figure out, even for a first-timer. Gym owners will be provided with key information on new and prospective members, such as personal information, fitness goals, and a health assessment. This data can help gym owners more effectively target their marketing efforts to prospective members, and more successfully incentivise new members to sign up for their first class. Paperless enrollment and paperless completion of the waiver. WODHOPPER emails the CrossFit affiliate owner all of the information provided by the user, and lists the user as a lead under the Athletes Menu within the app. The lead receives an automated “Thank You” message, which includes “What to Expect” information. A reminder email is sent to the lead 24 hours in advance of their first scheduled class. A follow-up email is sent after the user’s first scheduled class. If the user shows up to the class, gym owners can customize a message asking how the experience went and providing additional information. If the user missed the class, they will receive a “sorry we missed you” message, which will provide the user with the option to select another class. It’s time to grow your community! The ability to provide an effective, rigorous support system that improves lives and strengthens communities. It may seem like a mouthful, but it’s likely a large part of the reason you chose to start a CrossFit box. No matter how strong your mission, how cutting-edge your equipment, and how dedicated and talented your coaches, your dream hinges on a need to bring in new members. Above, we’ve gone over 10 actionable tips to help you along your road to increasing membership at your CrossFit box. Feel free to implement any of our tips, as they are sure to help you bring in new faces who are ready to grow and improve. As you implement these tips, make sure you’re set up for success, with gym management software that alleviates the burden of client acquisition. Request a demo of WODHOPPER today and see how we can help you increase gym memberships!